Early childhood education encompasses the quality and accessibility of educational investment for kids under 6 years old. Research suggests that addressing childhood education is a critical factor in improving the future educational attainment and socioeconomic transition of low-income communities. Poverty creates many barriers that impede young children’s development, placing them at a disadvantage even before they enter the classroom. The metric associated with early childhood education is “kindergarten readiness,” in alignment with the Ready for K Alliance. Louisville’s goal is for 77% of children to be kindergarten ready when they enter school by 2020. Kindergarten readiness in Louisville has been decreasing since 2012, with a much larger decrease occurring from 2014 to 2016 than from 2012 to 2014. 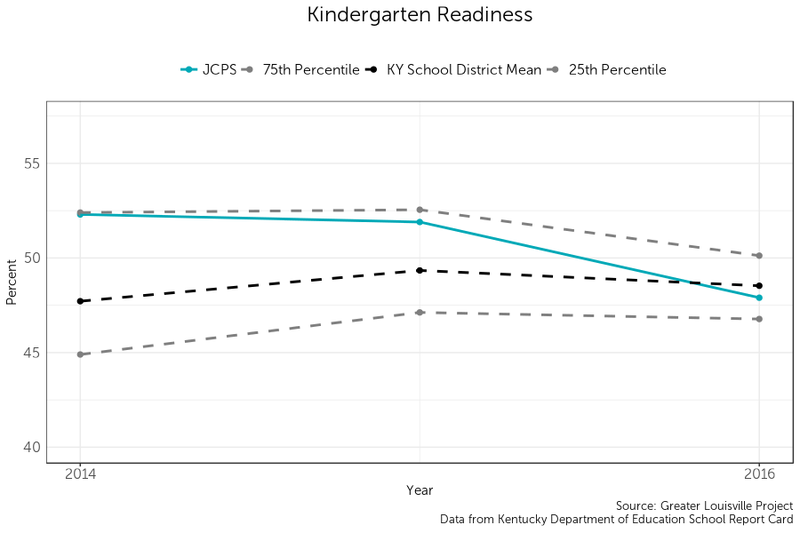 As a result, Louisville has fallen behind realtive to other counties in Kentucky which increased their rates of kindergarten readiness from 2012 to 2016. 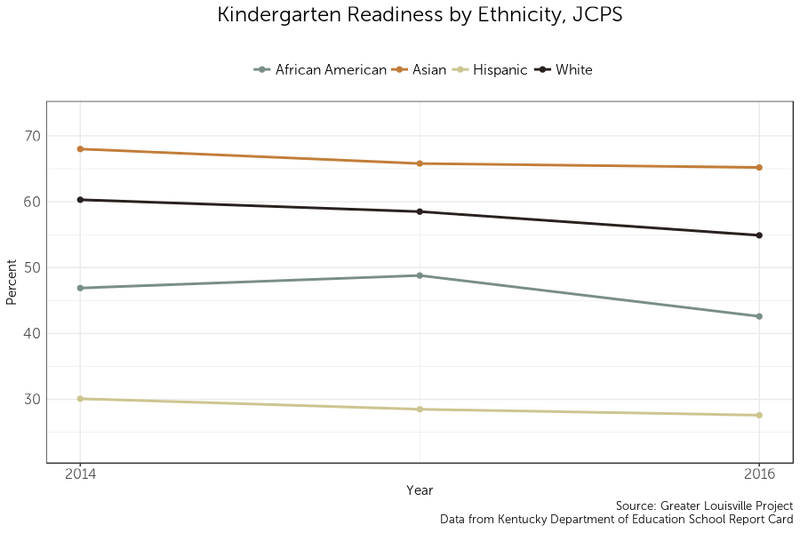 Average kindergarten readiness decreased for all races in Louisville from 2012 to 2016. While kindergarten readiness actually increased for African Americans from 2012 to 2014, this progress was overshadowed by a larger decline from 2014 to 2016.